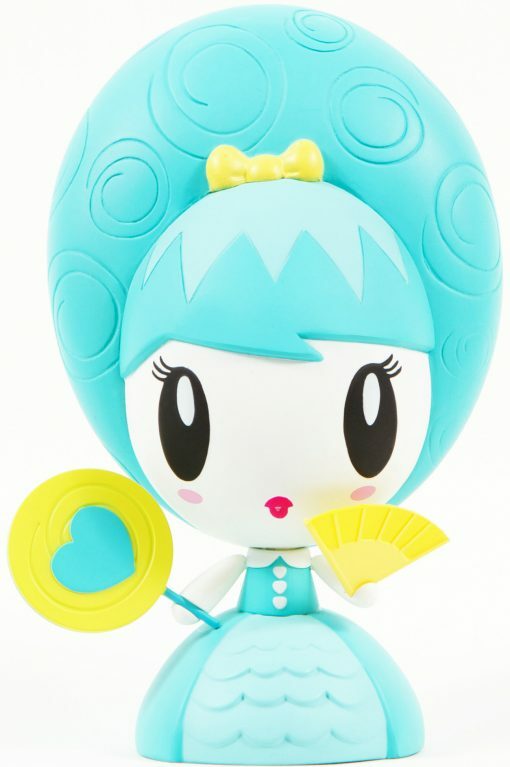 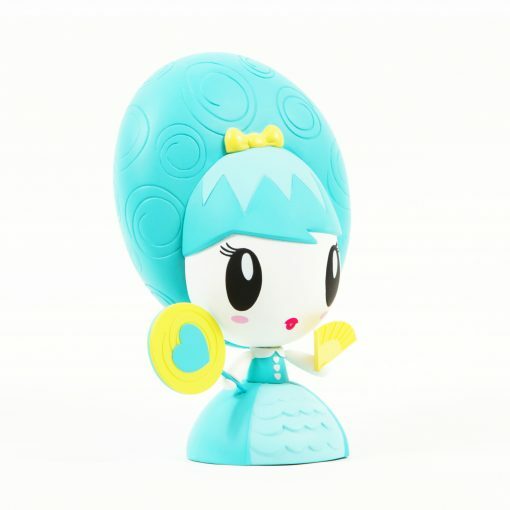 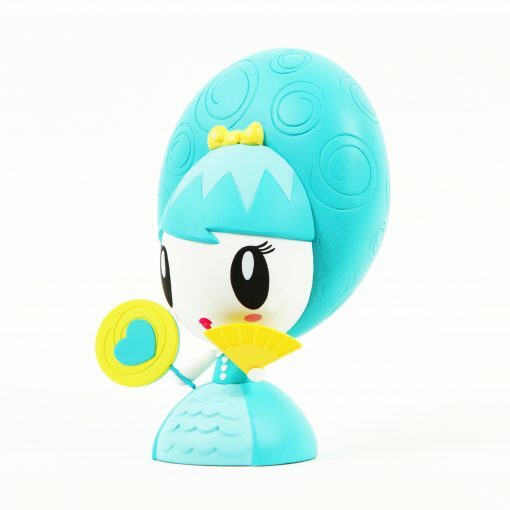 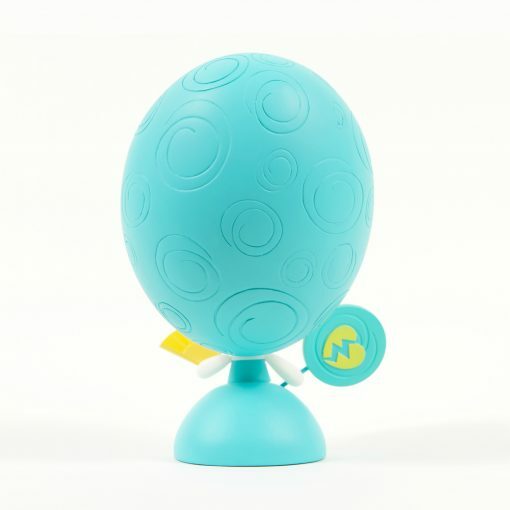 Bombastic Fantastic is proud to present the fourth and final release of their Lolligag vinyl art toy—Vive La Lolligag—in a dazzling turquoise colorway! 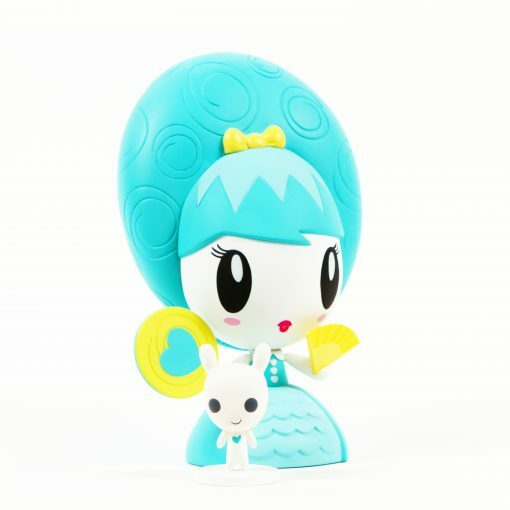 Vive La Lolligag finds Lolligag reimagining herself as Marie Antoinette, complete with an enormous wig and stately gown, lollipop and fan. 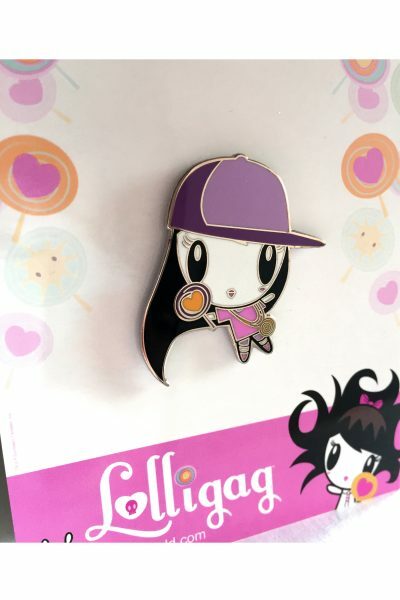 The set—only available for purchase here and at select conventions—is strictly limited and includes Lolligag’s best friend, Moot, as a bonus figure. 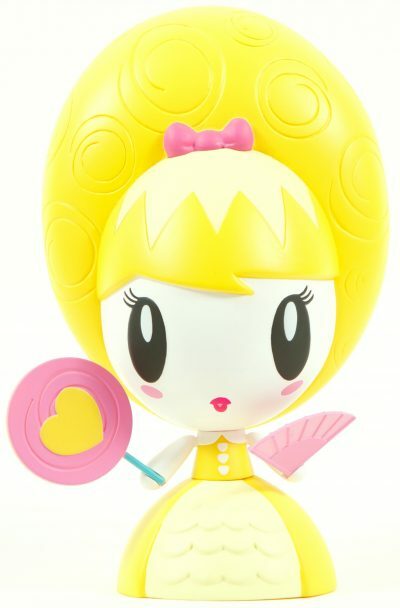 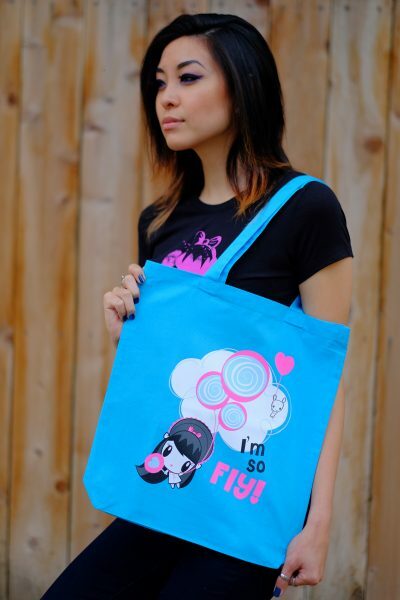 Perhaps sweetest of all, Lolligag herself is scented like blueberry.